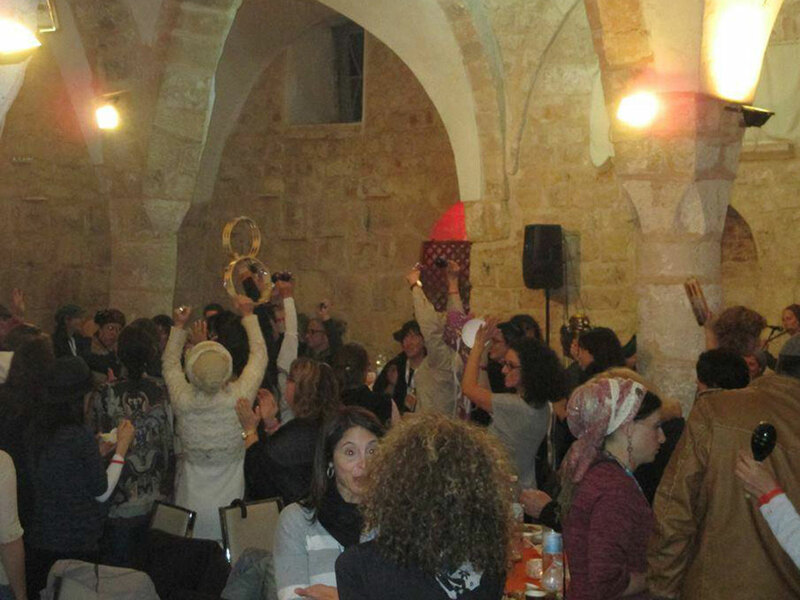 The Israeli municipality in Safed has turned Al-Ahmar Mosque into a bar and events hall, Al-Quds Al-Arabi reported the other day. As one of the most historic mosques in the Arab city, which was occupied in 1948, the building was first turned into a Jewish school, then into a center for Likud’s elections campaigns, and then into a clothes warehouse before finally being converted into a nightclub. The London-based newspaper reported that the mosque was turned into a bar and wedding hall by a firm affiliated to the Israeli municipality. Its name was changed from Al-Ahmar Mosque to Khan Al-Ahmar. Khair Tabari, secretary of Safed and Tiberias Islamic Endowment, said that he had been waiting for the Nazareth court to take a decision regarding a complaint he filed requesting the evacuation of the mosque and returning it to the endowment. Tabari said he attached documents to prove Islamic ownership of the mosque. A stone sign at the entrance to the mosque states it was built in 1276 AD. Israeli authorities are accused of systematically encroaching on Islamic sites in occupied Palestinian territories with the aim of obliterating their identity. He called for the different political and popular bodies to increase their cooperation with him in order to save the mosque from violations. Safed was once home to 12,000 Palestinians who were forced out of their homes in 1948. Tabari said that the mosque was now open for use for everything except prayers by Muslims. The mosque has experienced a series of desecrations since the creation of Israel in 1948. First, it was turned into a Jewish seminary. In 2006, it also became an election office for the Israeli Kadima Party before being used as a clothes warehouse. “Al Ahmar Mosque derives its name from its red stones. Today, it is used in several ways except as a prayer place for Muslims, I felt dizzy when I noticed the vandalism inside the mosque, as can be seen by the remains of Qu’ranic verses which were removed from the pulpit and replaced by the Ten Commandments in Hebrew,” said Mustafa Abbas, a historian and a native of Safed. “Muslims visiting the place face attacks from Jewish colonists,” he added. “The mosque has a rare historical and architectural value as it was established by the Mameluke Sultan Al Daher Baibars (1223-1277 AD),” Abbas said. A stone sign at the entrance to the mosque states it was built in 1276 AD. Israeli authorities are accused of systematically encroaching on Islamic sites in occupied Palestinian territories with the aim of obliterating their identity. Israeli Jews and soldiers have repeatedly raided Al Aqsa Mosque, which is Islam’s third holiest site. “Jews have altered most mosques and Palestinian endowments, mainly in towns and villages where their local people were forced to leave and occupied by Jews, who evicted Muslims and Christians from them,” said Palestinian Minister of Awqaf and Religious Affairs Yusuf Adais. “They [Jews] have converted a large number of these sites into nightclubs, blew up some and turned others into synagogues,” he added. We release Indian prisoners, they torture ours to death: Why is Pakistan silent?